Thảo luận trong 'ENGLISH' bắt đầu bởi Olaf von Voss, 13/2/19. 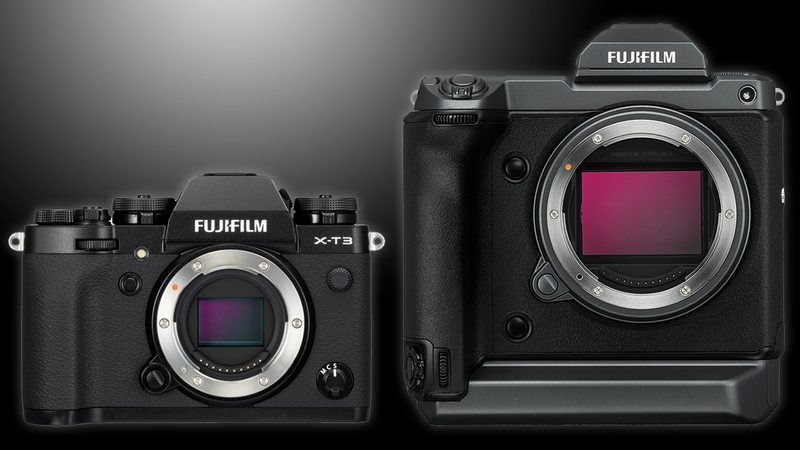 For their first X Summit event FUJIFILM had some surprises up its sleeve: Past GFX medium format camera concept ideas, along with a working prototype of their upcoming GFX 100 were shown. Furthermore, the FUJIFILM X-T3 will get better AF with firmware 3.0 later this year. FUJIFILM X-T3 and GFX 100. FUJIFILM has some reputation in delivering both, very capable APS-C mirrorless cameras and superb medium format cameras. If you’re in the market for sensor sizes between the two, namely full frame 35mm, you have to look elsewhere, though. Ditto micro 4/3. FUJIFILM: APS-C and medium format mirrorless cameras only. 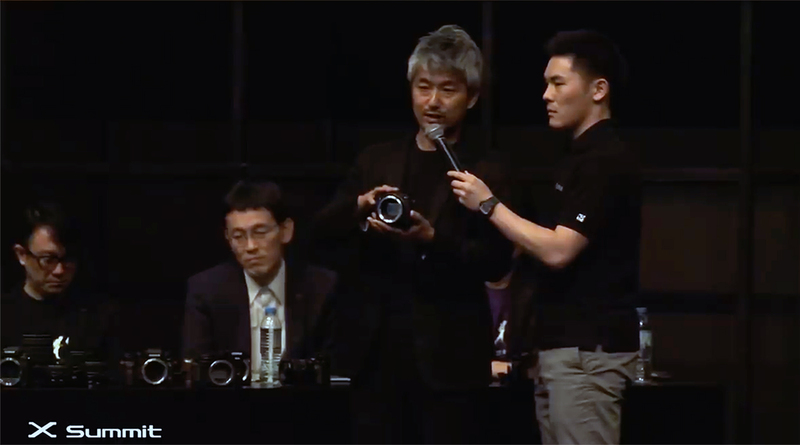 This X summit event was all about medium format and a little bit about the smaller APS-C format. Mockups of past suggestions for medium format cameras were shown alongside a look at the upcoming GFX 100 (June launch), a prototype of an upcoming GF 50mm f/3.5 lens and, a few glimpses into upcoming X-T3 firmware updates (April this year). Four earlier GFX medium format camera concepts were presented. But only one of them really stood out: it’s a cube-shaped camera body with a detachable side grip and an (also detachable) electronic viewfinder. The cool thing is: You can use just the core body since it comes complete with sensor, lens mount, battery, shutter release, some control dials and a rear display. Perfect for drones for example. Add a grip and/or EVF to taste for a fully-fledged medium format experience. The complete X Summit recording is rather long (Yet very interesting), but the relevant part is this one: The 4 GFX mockups are shown from 59:43. As you can see three of the four mockups are pretty straightforward, although pretty small in size which is nice of course. The fourth and most radical approach is the one we’re discussing here: FUJIFILM states that they can’t bring this mockup to live just yet due to technical difficulties but the idea and possibility of having a modular medium format camera in the (far) future is a very appealing one indeed. 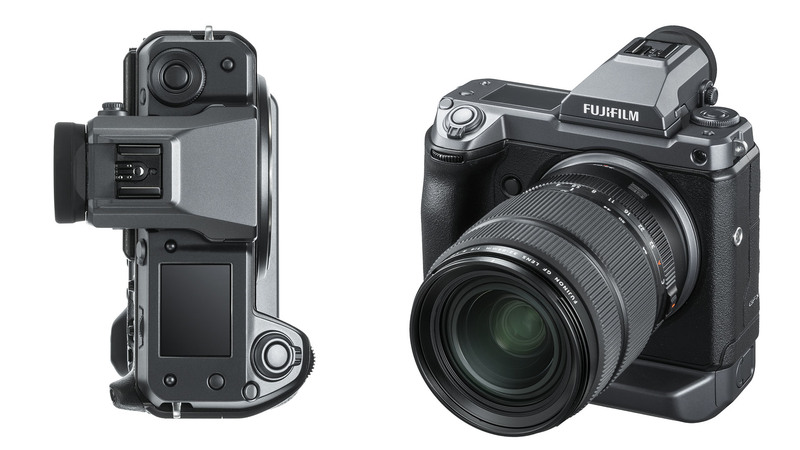 Before any of these concepts become reality, FUJIFILM will release a GFX 100 camera (read our initial coverage here). According to its name it will sport a 100MP sensor and, as a industry first, will support IBIS (in body image stabilization). It will cost “under $ 10.000” and it will be available before or during June 2019. The upcoming FUJIFILM GFX 100. Along with these impressive news regarding medium format, FUJIFILM finally rolled out an important update for their popular X-T3 mirrorless camera: Version 2.10 enables recording video files with a size greater than 4GB without splitting the files into multiple pieces. This requires SD cards with a capacity greater than 32GB (so 32GB cards will split video files). Although you won’t loose any frame while the camera splits the video into pieces it’s pretty annoying to paste the files back together in post. So it’s great that FUJIFILM finally fixes this. Read our in-depth coverage about this 2.10 firmware update here. AF performance with “old” firmware (Left) vs. new 3.0 firmware (Right). Furthermore, FUJIFILM use their X Summit to tease a future firmware 3.0 for the X-T3 which will be released in April. It will sport a much improved AF mode with enhanced face detection, improved tracking for both photos and video and better eye AF. 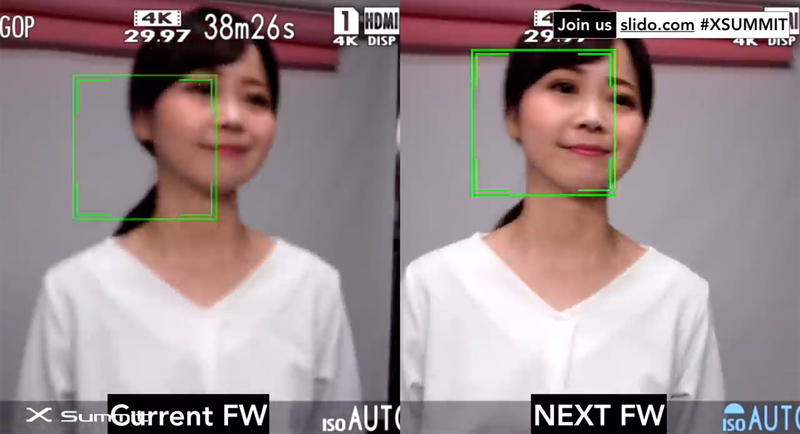 You will be able to select a face for tracking if there a multiple subjects in shot and the touch operation will be more responsive and quicker. Watch the video above from 1:28:49 to learn more. It’s really nice to see that FUJIFILM keeps pushing their already available products. This camera won’t be obsolete any time soon just because the firmware is outdated. All in all FUJIFILM rolled out 250+ firmware updates since the debut of their original X100. What do you think about these updates and FUJIFILM in general? Let us know in the comments below! 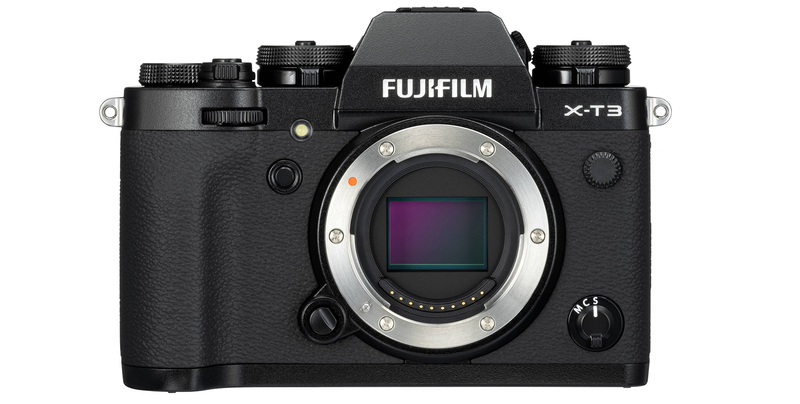 The post FUJIFILM X Summit: GFX Medium Format Camera Presented, New X-T3 Firmware Update appeared first on cinema5D.